Say what you will about the Ajax Control Toolkit. Some like it, some don't, but it got 1.15 MILLION downloads last year. Is the ACT dead? 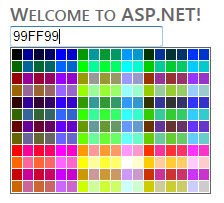 Not yet, and there's ongoing work around WebForms, jQuery and an ACT style of programming. More on this soon. The HTML Editor Extender works on all modern browsers including the most recent versions of Mozilla Firefox (Firefox 5), Google Chrome (Chrome 12), and Apple Safari (Safari 5). Furthermore, the HTML Editor Extender is compatible with Microsoft Internet Explorer 6 and newer. How do you use it? 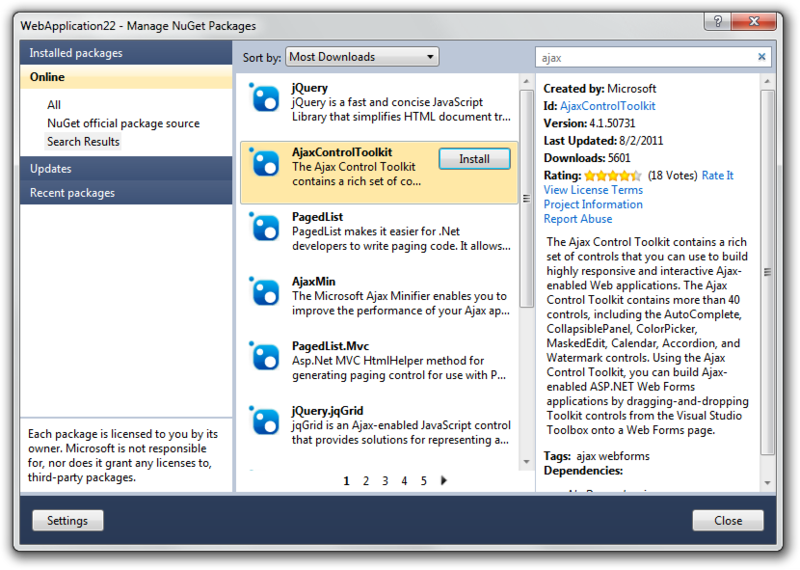 Now that the AjaxControlToolkit is in NuGet, it's easy either from the Package Manager Console, or from the GUI. But the NuGet package already added that to your web.config! The ToolkitScriptManager only needs to be on the page once. This is just one example. Check out the dozens of controls at the Ajax Control Toolkit Sample site. I'm happy for everyone out there who doesn't have to support anything "legacy". However, for those of us in the corporate trenches where we can be lucky if at least NEW projects can be MVC going forward: there are an assortment of applications happily running along still running on "AjaxControlToolkit" that can't be retired/rebuilt just yet. Having backward compatibility AND nuget is pretty sweet for these types of legacy apps! What would be your back of the hand prognosis for using the HtmlEditor in mvc, without sacrificing to much mvcness. Erick - Totally. It's clientside JS. You could totally do that. Scott, I wonder if you can answer this question: Is it necessary to use the ToolkitScriptManager with all ACT functionality? I have read that this is the case but we're not using the ToolkitScriptManager on many projects and various ACT functionality is working just fine. Could it be that some parts of the ACT require the ToolkitScriptManager, while some do not and therefore the documentation advises you always use it? Message "10 August 2011 00:48:20 (Pacific Daylight Time, UTC-07:00)" posted by me - not sure what happened to my name. Not trying to be negative, why don't the ACT team just fully participate on jQuery? ACT can still be there but with minimal support. Is jQuery still not good enough or "because I can"? Could you please show the use of HTML Editor in MVC ? @Ignat "Could you please show the use of HTML Editor in MVC ?" Seconded. Just using JQuery is good enough. JQuery UI and its plugins and widgets.